January is radon awareness month. We have 50 free radon testing kits available. Give us a call at 620-221-1430 for details and to receive your testing kit. Radon is an invisible, odorless, tasteless gas that can cause serious illness and even death. Be proactive and test your home now. VISIT EITHER HEALTH DEPARTMENT OFFICE TO LEARN MORE! The 2017 Annual Report of Activities is now available online through this page! Our area is prone to high concentrations of radon gas in homes. to test your home – free of charge. Your family may be breathing radon, the second leading cause of lung cancer. In recognition of National Radon Awareness Month, the City-Cowley County Health Department has a limited number of radon test kits available for your home. These kits are FREE and can be picked up at both City-Cowley County Health Department locations (Winfield & Arkansas City). For more information, please contact Tanner Langer at 620-221-1430. Testing your home is quick and easy. The following link will demonstrate how to use your test kit. Follow us on Facebook and Twitter for future information regarding radon risks in your home, as well as what to do with your test results. Click on image below to see how easy it is! Flu vaccinations are available at the both health department offices. Don’t wait till it’s too late! Call 620-221-1430 and schedule your appointment today! Health Department Supports – RISE Cowley! RISE Cowley is a coalition of like-minded organizations dedicated in work to make Cowley County a healthy place to live, work and play. The Health Department is proudly part of RISE Cowley and we are supporting the “Pathway to a Healthy Kansas” grant application which is currently being crafted. If RISE Cowley is chosen for funding all of Cowley County will benefit. Our communities share the traits of passion, perseverance and pride. There is a competitive spirit within Cowley County and a willingness to learn from each other’s successes and failures. While our communities are smaller in size, they are linked in ways that provide numerous opportunities for a quality lifestyle. The willingness to be involved and to work to overcome well defined problems strengthens our bonds. Our Rich history, Innovative spirit, Successful collaborations and Enduring commitment to community accomplishment make us RISE above other Kansas communities. If you are interested in learning how you can be a part of RISE Cowley, and support the move to a healthier and more prosperous Cowley County please contact the Health Department for information. Divided we fall- together we RISE. The City-Cowley County Health Department is now offering Travelers’ Health services at their office located at 320 E 9th Street in Winfield. Area residents that may need to travel abroad now have the option of receiving travel related vaccinations in Cowley County. The service includes the designation of the health department as a Yellow Fever Vaccination Clinic in Kansas. Travelers are required to meet with Health Department staff that has been trained in the specifics of travel medicine to discuss their travel plans and itinerary. Regional health risks and the requirements for vaccinations are reviewed with the travelers taking into consideration any health concerns that the traveler may have. Immunizations are scheduled at the appropriate time intervals prior to the scheduled travel and the issuance of an international certificate of immunization is provided for the traveler to carry with their travel documents. Visit our Facebook Page to learn more about what you can do. Click on our logo below!!! The 2015 Annual Report of Activities for the City-Cowley County Health Department is now available! Click on the highlighted link below to download a pdf version of the report. During December of 2015 the City-Cowley County Health Department and health care stakeholders across the county met to review the condition of health in our communities and discuss the areas needing improvement. The result of the work is the formulation of a report and plan of action that will drive our activities in public health and service delivery. Please feel free to review the document and gain a better understanding of why we do what we do! The cost for obtaining a waste-water permit in Cowley County has been reduced. All residences in Cowley County not served by public sewer service are effected by this change. You can read the Cowley County Sanitary Code by clicking the highlighted text below. If you have any questions about the changes please contact the Health Department and speak with environmental services. December, 2015: Community Health Rankings. Each year during November a national health research organization releases health rankings for all the states and all counties across the country. As I reviewed the data for Kansas and specifically Cowley County, I was disheartened to see that our county ranked as one of the least healthy in the state. There are 101 local health departments in Kansas; of the 101, Cowley County ranks 83rd. As I reviewed the data used to measure our “quality of life” I noticed some interesting things. It appears that from an environmental point of view Cowley County is better than most ranking 50th out of the 101. Our air quality is good, though it can be dusty when the wind blows, and we do have our share of smoke and other irritants to deal with, but we are much better in terms of ozone and carbon monoxide from motor vehicles, (concerns that haunt larger communities). Our drinking water appears to be very good too, as no contaminant violations with KDHE or EPA have been recorded. Clinical care for health related issues is fair in our county but could be better. We have approximately 1 doctor and 1 dentist for every 2500 residents. Sadly 15% of our residents under age 65 have no health insurance and we are less physically active than we should be. Most alarming is the fact we weigh more than we should as 37% of the adults in Cowley County are considered to be obese in spite of the fact that we do have access to healthy foods. Sadly we are choosing to consume more of the foods that are nutritionally high in sugars and fats which lead to higher rates of diabetes and heart disease in our county. An area that troubles me in my role as public health officer relates to our children and newborns. It seems that smoking during pregnancy is done by 23% of expectant Cowley County mothers in spite of the warnings related to tobacco use. This behavior places newborn children at risk for numerous health problems; it also is a contributing factor in our county having higher than normal “low birth weight babies” being born as well as babies having other health problems. Finally the rate of sexually transmitted infections and teen pregnancy rates are much higher in our county than the rest of the state. These behaviors reflect the need for better education about how to avoid such negative health impacts. At first glance it seems that the Cowley County health results are quite gloomy, yet I remain extremely optimistic. I see these reports as an opportunity; for if you don’t know where you are you cannot take steps to improve. During the coming weeks the City Cowley County Health Department and other health care partners will examine the “Community Health Needs Assessment” for our county and the results of that review along with studies such as the one discussed here will be used to guide our efforts in the coming months and years. So it is very likely that you will hear messages urging you to increase your daily activities to burn more calories. We will ask you to join in the change of grabbing fresh fruit and veggies and eating those instead of snack cakes and french fries, and to drink plenty of water instead of chugging sugary drinks. Most certainly we will reach out to expectant moms and offer help to stop smoking for your health and the health of your baby. Reversing trends, changing habits, altering lifestyles – it seems a daunting challenge. Yet I know that together we can make a difference; together we can become a healthier community. Little changes will truly add up and allow us all to live happier, longer lives. The case for getting a seasonal flu shot. “Why get the shot?” – The simple answer is to stay healthy. The flu is a respiratory infection that can cause serious health issues, particularly to young children, older adults and people with certain medical conditions. 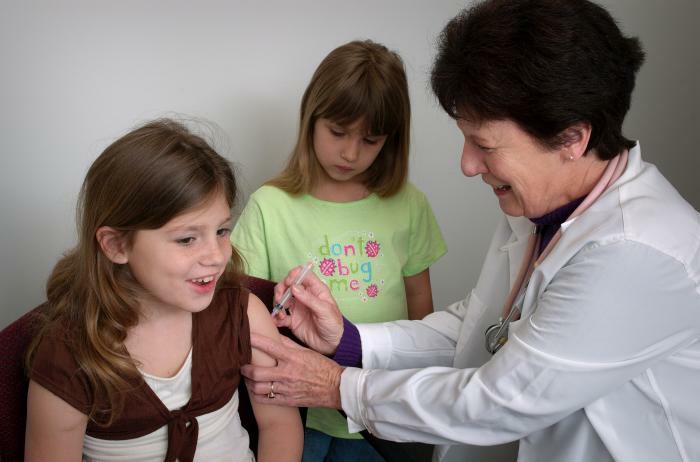 Flu shots are the most effective way to prevent the flu and its complications. Remember, you will be exposed – at home, at work, at school, at church, shopping, anywhere you interact with other people. If the flu gets a hold of you can expect to feel miserable. High fever, chills, coughing, sneezing, body aches, physical exhaustion, headache and chest pain; none of these symptoms are fun. At best you will be out of action for at least a week and likely much longer. Now you may be saying I never get the flu shot. Maybe you feel lucky, maybe you hate shots, maybe you had a flu shot once and then later got the flu, I am not certain what the objection may be BUT I do know for certain that you will be exposed to the flu again this year and for your protection – you need to get the flu shot.So to prevent getting the flu, schedule your flu shot with the health department today. Be aware that it takes at least 2 weeks after receiving the shot for your body to build the needed antibodies to fight the flu effectively – so the sooner you get vaccinated the better off you will be. The health department will be holding more than 20 different flu shot clinics throughout Cowley County during October and we hope you take the time to get a flu shot this month. The cost of the vaccine is covered 100% by most health insurance plans and if you are having hardships and truly cannot pay, the health department will work with you and find a way to get you vaccinated. The bottom line is that we want Cowley County to be a healthy place to live and work and that means helping each of you avoid the flu this season. Many Kansas mothers do not feel comfortable breastfeeding in public. This may cause many mothers to wean early or not breastfeed at all. Each year, an estimated 3000 to 7000 Kansas infants are adversely affected by little or no breastfeeding. To learn more about breastfeeding in public go to the Breastfeeding is everyone’s business video. Businesses and organizations can also help. The Business Case for Breastfeeding (http://ksbreastfeeding.com/cause/business-case-for-breastfeeding) offers free assistance to employers to aid with compliance of the Kansas law protecting breastfeeding employees. In addition to workplace support, community awareness plays a large role, as well. The Breastfeeding Welcome Here Campaign (http://ksbreastfeeding.com/cause/breastfeeding-welcome-here) not only welcomes breastfeeding mothers and families to area businesses, but also provides free training for employees and an avenue for business to reach out to the breastfeeding community at large. Support for breastfeeding is needed in many different arenas including hospitals and birth centers, worksites, and communities. This Guide builds upon the research evidence demonstrating effective intervention strategies and offers relevant information for each including program examples and resources. The Kansas Breastfeeding Coalition recently recognized Winfield as one of six Kansas communities to receive designation as a “Community Supporting Breastfeeding” (CSB). Winfield demonstrates exceptional support to its mothers, babies and families, as defined by the six CSB criteria–a local breastfeeding coalition (BACC), peer support group (La Leche League of Winfield), William Newton Hospital’s certification as a High 5 for Mom & Baby hospital, 20 licensed community child care providers who have received special training in supporting nursing moms and babies, 19 community businesses participating in the state-wide “Breastfeeding Welcome Here” program, and 5 community employers that have received a “Breastfeeding Employee Support Award” from the Kansas Business Case for Breastfeeding . There is an abundance of research showing the physical, emotional and financial benefits to breastfeeding–a breastfed child’s risks of asthma, obesity, diabetes, certain cancers, heart disease and osteoporosis are lower than that of his or her formula-fed peers. A breastfeeding mother lowers her own risk for both breast and ovarian cancers. The American Pediatric Association’s recommendation is that infants breastfeed for at least one full year (with no supplementing or solid foods for the first six months), and the longer a mom is able to breastfeed the more benefit both she and baby reap. In Kansas and locally, approximately 80% of new moms start out breastfeeding. Giving babies the best start possible in life is something that moms and families in our communities value. It is something that our communities must value as well. The Breastfeeding Advocates of Cowley County coalition formed in 2011 to address childhood health issues related to early nutrition. Its membership is comprised of community health providers, moms and partner organizations who share a vision that all of Cowley County will accept breastfeeding as a vital part of the health and development of children, their families and the community. BACC recognizes that in order for mothers, babies, families and our communities to benefit from breastfeeding, support and education are necessary. Want to learn more about how you and your employees can reap the benefits of good health? Contact the Health Department and we can discuss the ways in which you can create a “Workplace Wellness Program” The benefits include lower health insurance costs, greater productivity and improved employee morale. We are here to help!